Akash Bajaj, MD, MPH Blog What is Soma? What is Soma? It is a muscle relaxant that is prescribed to relieve pain from muscle injuries and spasms. Recent research has shown that opioids (Ex: Hydrocodone or oxycodone) and Soma (carisoprodol) and/or benzodiazepines (Ex: Alprazolam ) have dangerous overlapping side effects when taken together. When these medications are combined, the side effects are synergistic and can cause respiratory depression, coma, and even death. The benefits don't outweigh the risks. Soma is metabolized into meprobamate, a Schedule IV drug that closely resembles the sedative properties of barbiturates which has sedative properties that can cause respiratory depression and even death. 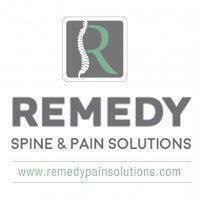 Dr. Bajaj at Remedy Pain solutions in Los Angeles (thinkrps.com) offers a safe alternative solution. Alternative muscle relaxers that can safely be taken as directed other than Soma (carisprodol) include Tizanadine (Zanaflex), Amrix (cyclobenzaprine), and Metaxalone (Skelaxin). Safety is always a concern to prevent harm to our patients. Our pain specialist Dr. Bajaj at Pain Remedy Solutions in Los Angeles (thinkrps.com) is proactive in considering the appropriate, effective, and safe treatment alternatives.